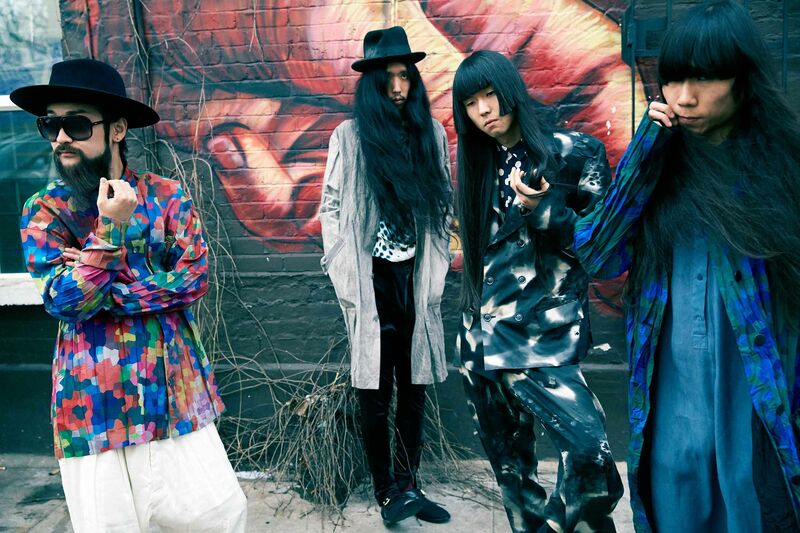 This Friday, the ecclesiastical surrounds of St. Leonard's Church, Shoreditch will play host to a screening of the Japanese film 2045: Carnival Folklore (2015), accompanied by live music from artists including the London-based band Bo Ningen, depicted here. Directed by Naoki Kato and premiered at last year's Seattle Film Festival, 2045: Carnival Folklore is the sort of exploratory film seldom seen since the European avant garde of the 60s and 70s. Drawing on the scarily mundane vision of the future offered by Jean-Luc Godard's classical Alphaville (1965), and the psychosexual cyberpunk of Tetsuo: The Iron Man (1989), 2045: Carnival Folklore offers an irreverent take on an authoritarian, post-nuclear apocalypse society. Ostensibly the report of a spy called Sun Ra as he explores this dystopic world, it frequently breaks down into musical interludes from key bands in Japan's thriving noise rock scene. Several of these luminaries will appear live during the Shoreditch screening - including Hiyoyuki Nagashima of Dower, Ryo Hamamoto, Okamoto Hideyuk and Junya Ishii – along with Sierror!, a duo comprising director Kato and screenwriter Keisuke Masuda. They will play alongside the four members of Bo Ningen, whose three albums have made them one of the world's most prominent noise rock groups. The resulting combination of musicians and film should offer a uniquely immersive experience.